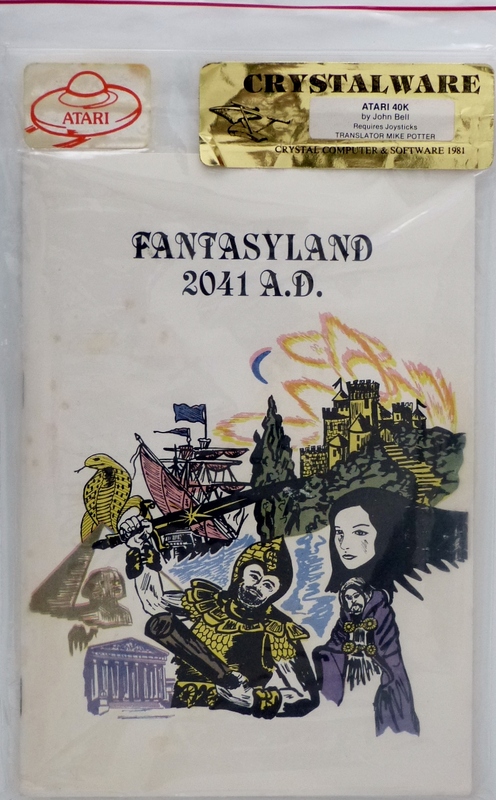 Computer Game Museum Display Case - Fantasyland 2041 A.D.
Home > Collections > Computer Games > First Era of Gaming > Other Early Games > Fantasyland 2041 A.D. The true culmination of Crystalware's adventure series, the piece de resistance. 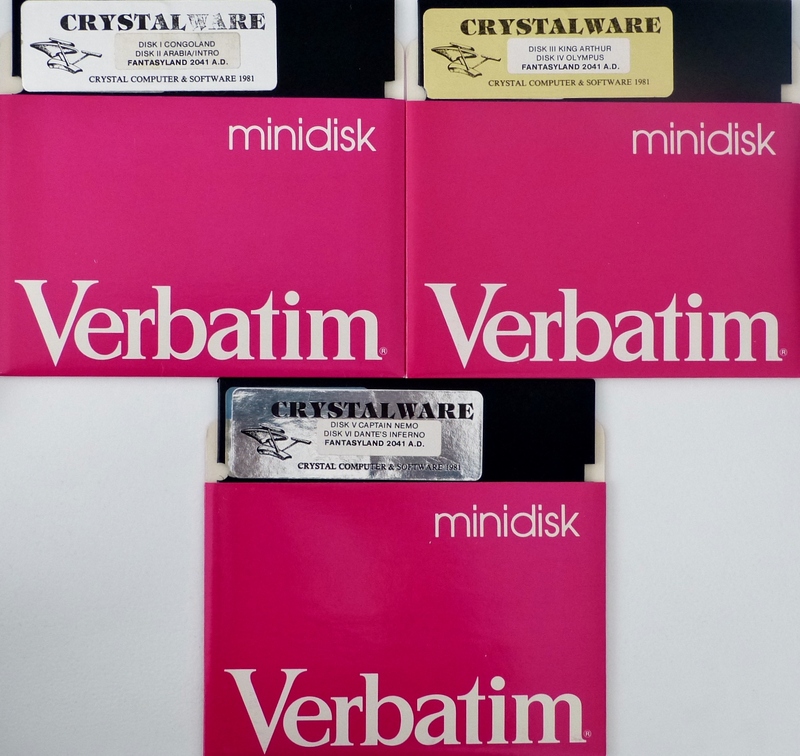 This massive game encompasses six complete fantasy worlds, spread across as many disk sides, and was probably a truly large game for its time, comparable to Sierra's Time Zone for example. The player must progress through each land in turn, gaining in experience and power, and upon conquering the sixth and final world, qualifies to win a real cash prize. It is not known if anyone actually claimed this prize.